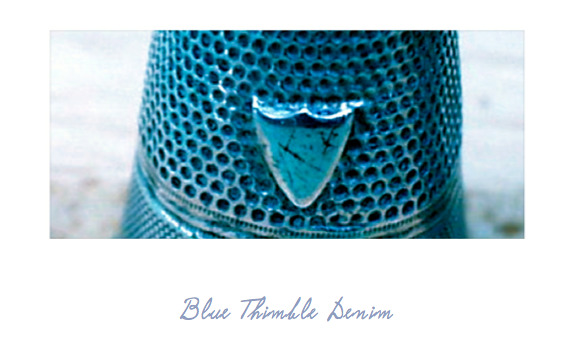 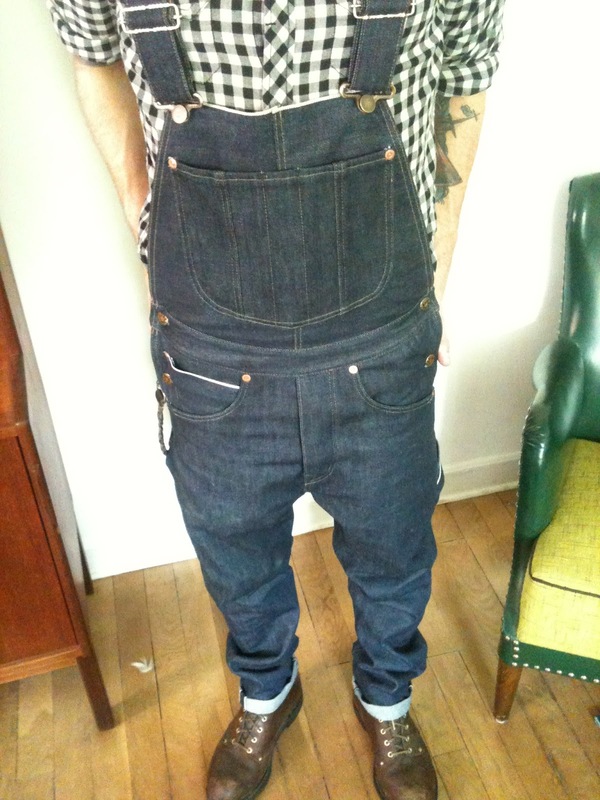 Blue Thimble Denim: The BIB is Done! 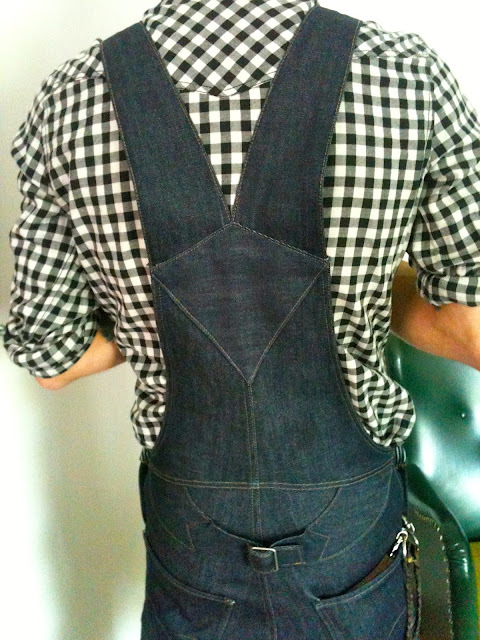 Finally I got the time for this last post of the Bib. Last time I almost put all the pieces together on the front and the back, the only thing that is left is the straps and putting the back and the from pieces together. 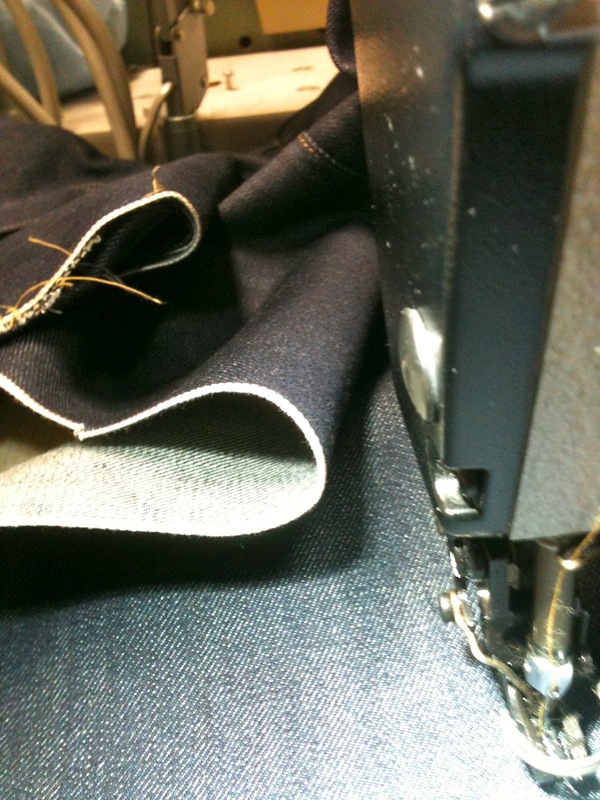 So I start with the inner leg seam, I've realized that it's much better to do the overlock after you put the pieces together. 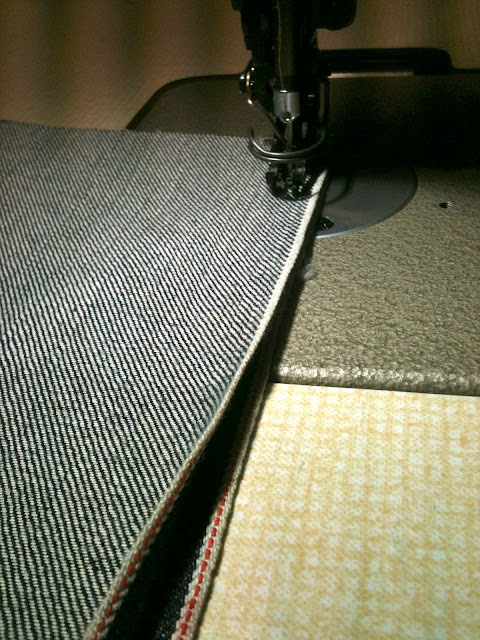 Making the really long inner leg stitch. 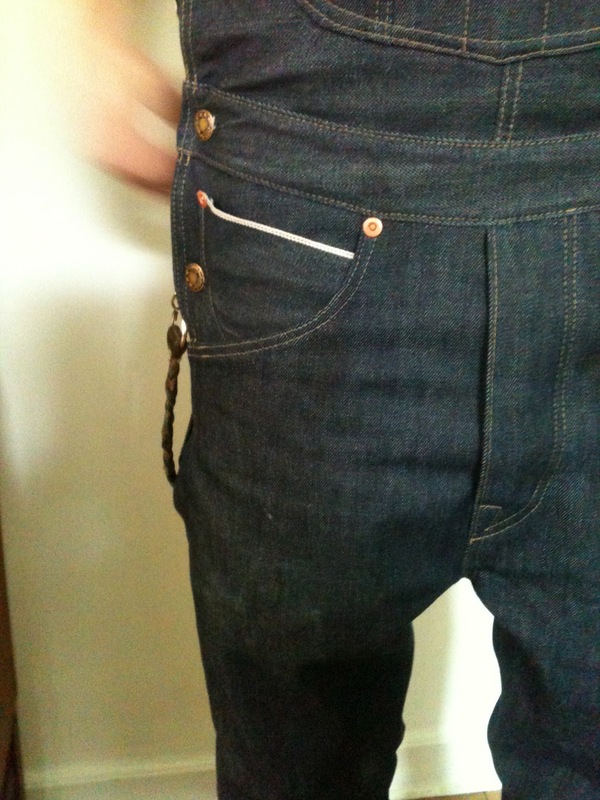 Attaching a tool pocket. I actually almost forgot to make this so a smart thing would have been to attach it before the inner leg seam. 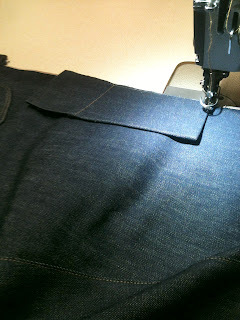 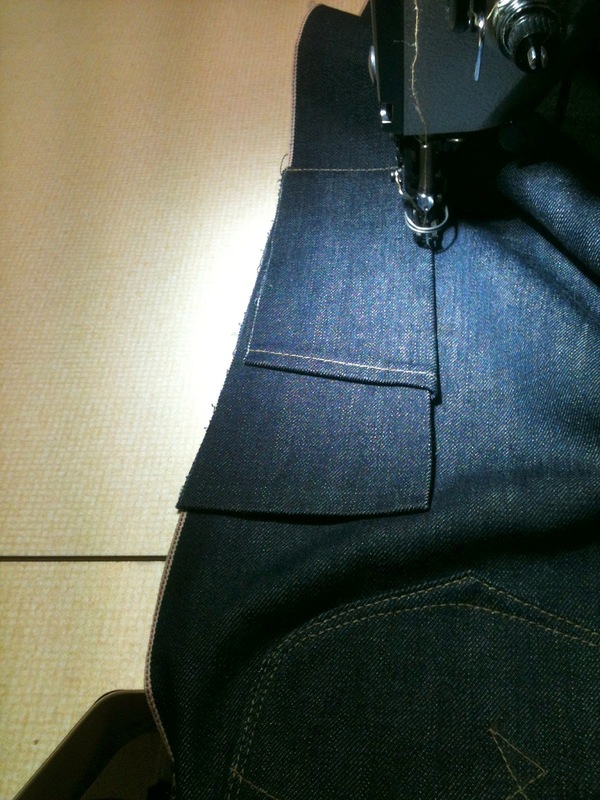 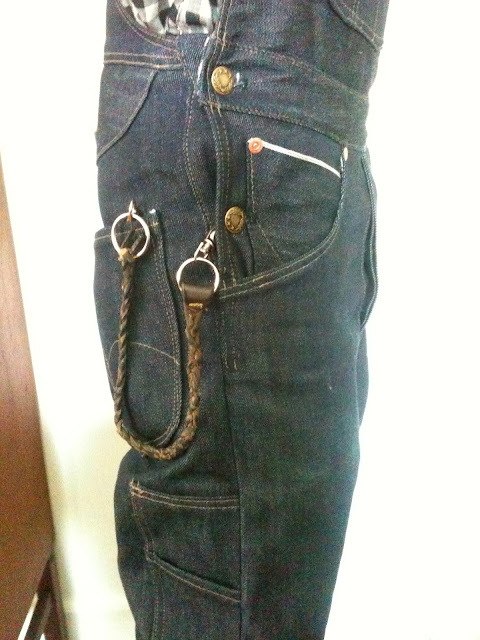 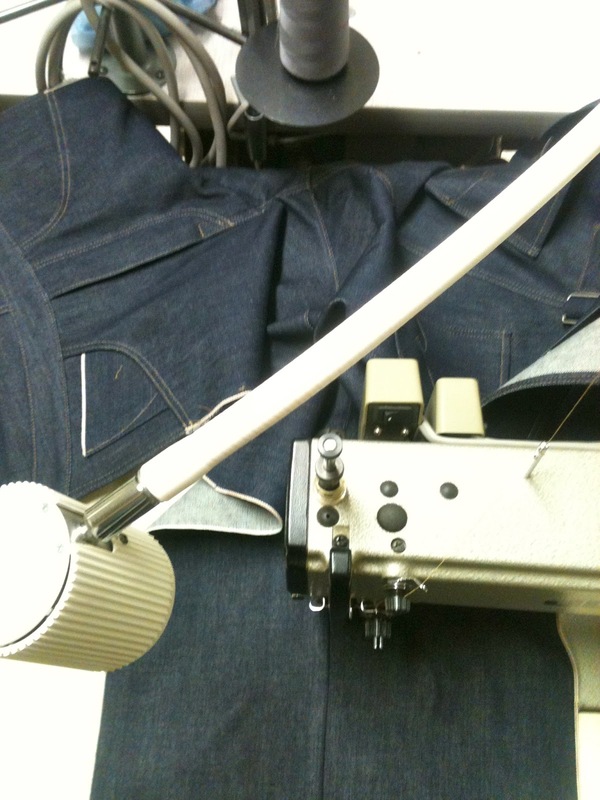 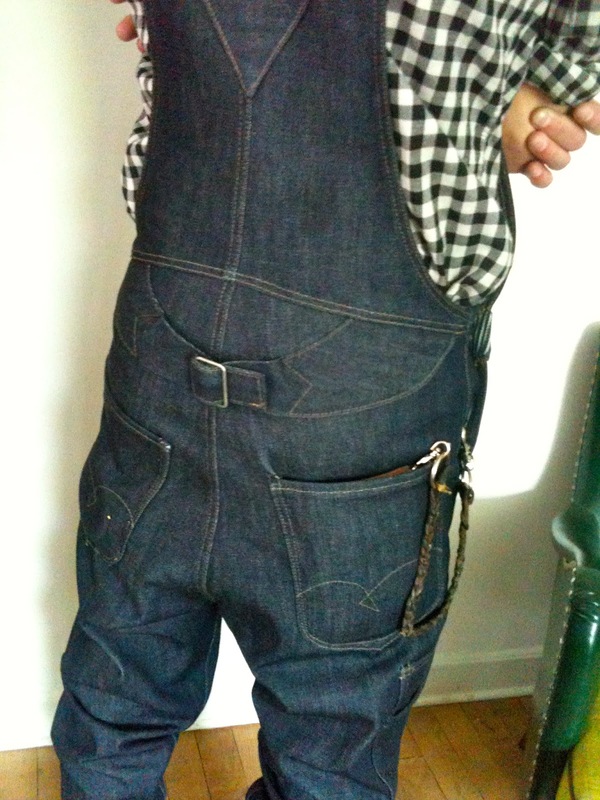 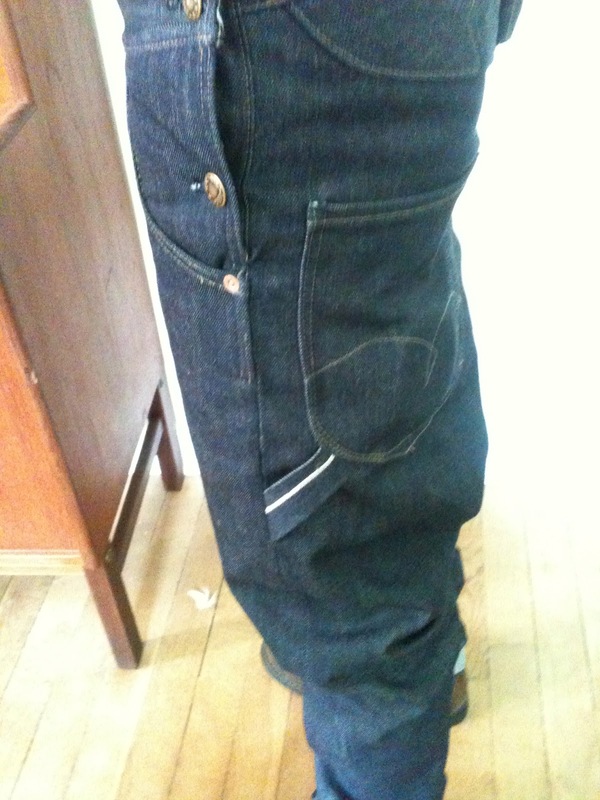 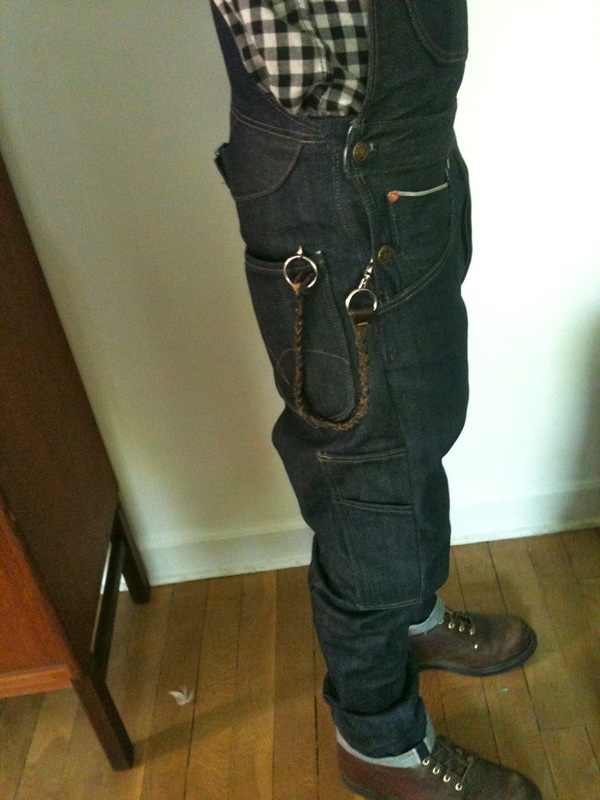 The tool pocket will be strengthen with the outer leg seam. And the bib is done. 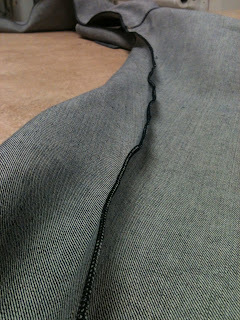 I didn't have any pic's on my phone from the making of the strap...sorry. 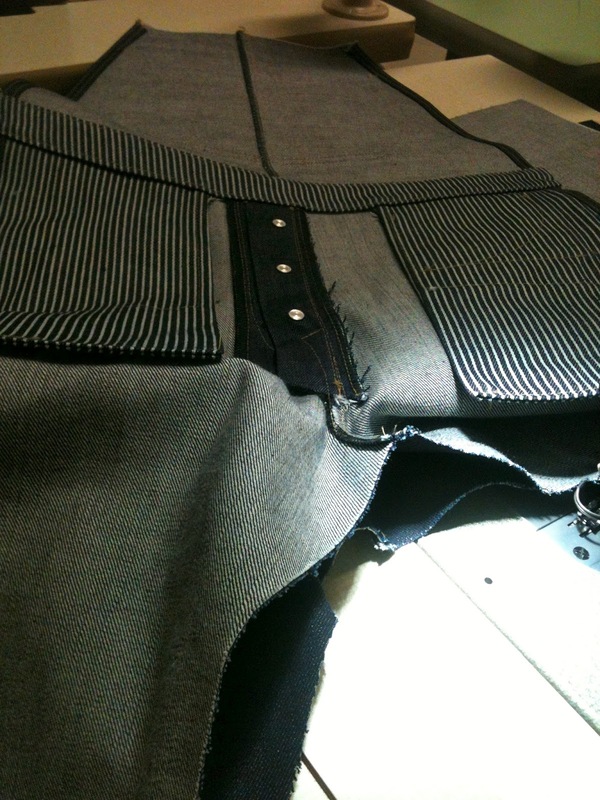 That's it on the bib.